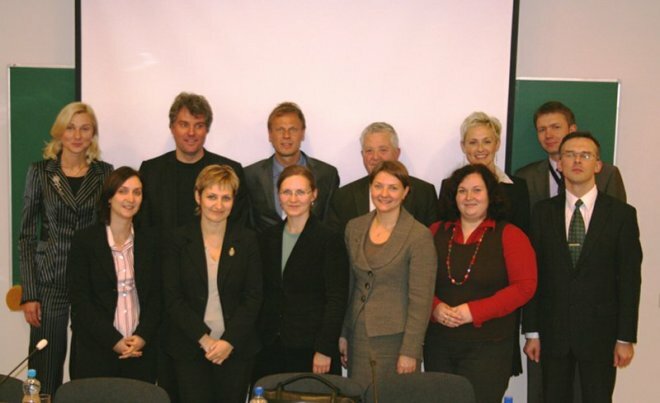 Within the framework of the "Europe Wills" project, six workshop-debates were organised in six countries of the European Union between August and October 2009. The first took place in Berlin and brought together German, English, Austrian, Belgian and Dutch experts. It was held in the presence of a representative of the Ministry of Justice of the Baden-Württemberg region, member of a ministerial working group on the creation of a centralised wills register in Germany. The second seminar took place in Warsaw and brought together Polish and Slovakian experts. It took place in the presence of the President of the chamber of notaries of Poland, several notaries, representatives of the Ministry of Justice and the Director of the company which created the Polish register of certificates of inheritance. The third workshop-debate was in Sofia, Bulgaria. It was attended by Bulgarian, Cypriot, Greek, Hungarian and Romanian experts. It took place in the presence of the President of the chamber of notaries of Bulgaria and several notaries. The fourth workshop-debate was held in Lisbon and brought together Spanish, French, Italian, Luxembourg, Maltese and Portuguese experts. The President of the Portuguese Notariat was present, along with several academics, the contact point of the European Judicial Network (EJN) and a representative from the public prosecutor’s office. The fifth workshop-debate took place in Ljubljana, Slovenia. It was attended by experts from Bosnia (Notariat and Ministry of Justice), Croatia, Macedonia, Montenegro and Slovenia. The President of the Slovenian Notariat and representatives of the Belgian and Slovenian Ministries of Justice were also present. Finally, the last workshop-debate took place in Riga, Latvia and brought together experts from Estonia, Finland, Latvia (Notariat and Ministry of Justice), Lithuania and Sweden. Latvian notaries also attended. A detailed list of the participants in each workshop-debate is attached.